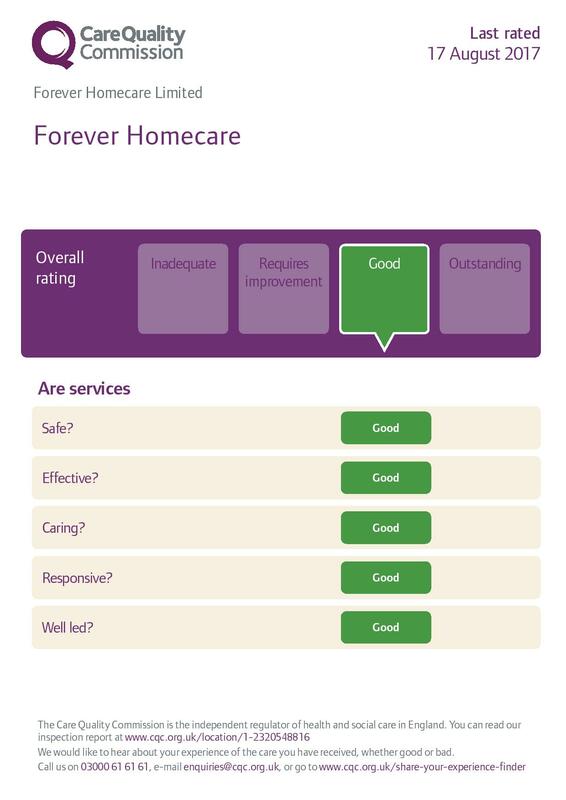 At Forever Homecare Ltd, we provide a home-care service for individuals of all ages requiring support in the comfort of their own home. Our services are available throughout Buckinghamshire and Berkshire. For your peace of mind, we are accredited by the CQC (Care Quality Commission) and rated GOOD in a recent inspection. We are also registered with UKHCA (United Kingdom Home-Care Association) and have NVQ 4 and NVQ 5(Management in Care Services) qualifications.